BioShock‘s silent protagonist Jack won’t be making an appearance in the game’s upcoming sequel, but that doesn’t mean his presence won’t be felt, as the residents of Rapture are still discussing his brief (but busy) visit more than a decade later. Whether you chose to be “evil” by harvesting the Little Sisters for their sweet store of Adam or “good” by rescuing them doesn’t matter, as there’s no mention of importing save data. 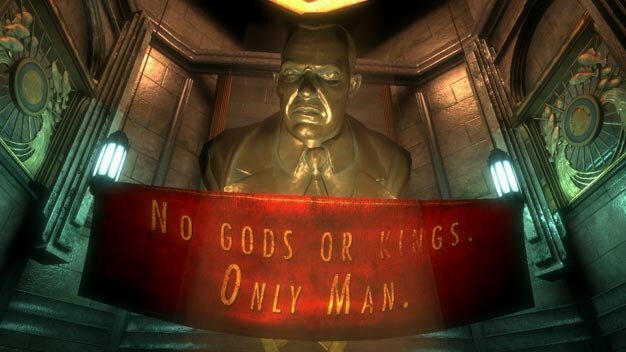 Rather, BioShock 2 will use ambiguously written dialogue to account for both possible choices. Personally, I don’t see how they can account for two such drastically different endings without being maddeningly vague, but then again madness is par for the course in Rapture.